Home Awesome Products Back to School Fall Curriculum! Back to School Fall Curriculum! 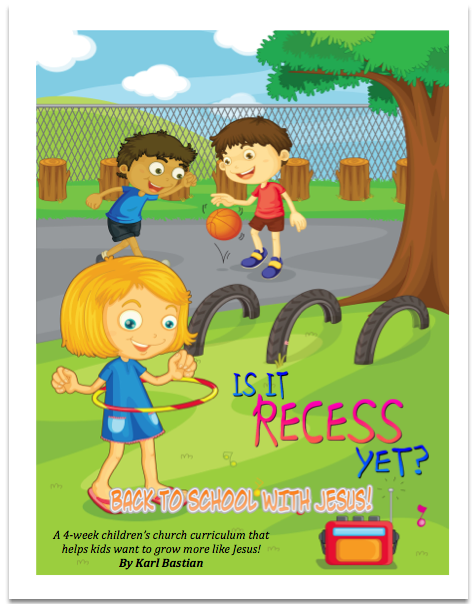 Just wanted to make my blog readers aware that I’ve written a 4 week “Back to School” children’s church series! This is a 4 Week BACK TO SCHOOL Series by Karl Bastian, and Kidology.org All Access Members get 50% off! LESSON INTRO – Each lesson will begin with an overview to help the teacher grasp the “Big Idea” of the lesson and have a clear idea of what they are trying to accomplish through this lesson. PUPPET WELCOME – A fun puppet welcome and lesson introduction is provided an optional fun way to introduce each lesson. RECESS TIME – An easy and fun game with a lesson application. LESSON TIME – This is the main lesson loaded with scripture and creative ideas. SKIT TIME – A description of a drama you can do to help reinforce the lesson. 50+ IMAGE CLIP ART COLLECTION – Includes over 50 Back to School Clip Art Images to use in Power Point, bulletin board or promotional purposes. Also included is the original backpack art used in the small group game and the ‘Get to Know You” poster so that you can modify the game or the get to know you tool if you would like. Simply GO HERE. If you aren’t an All Access Member, UPGRADE HERE. Awana Sport Stacking Kits Available NOW!